The Pumphouse Recreation Area, regulated by the Bureau of Land Management, is located at the take out of Gore Canyon. 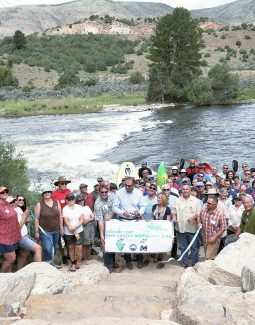 Boaters, landowners, regulatory agencies and a wide variety of Colorado River lovers all had crucial and active roles in bringing this project to fruition. 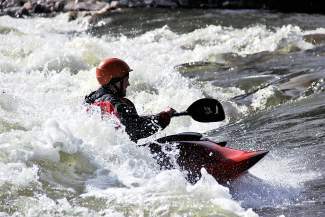 Construction of RiverRestoration’s designed whitewater park was completed spring of 2015. The park attracts boaters to the area and makes a recreational in-channel diversion (RICD) water right absolute for Grand County, Colorado. 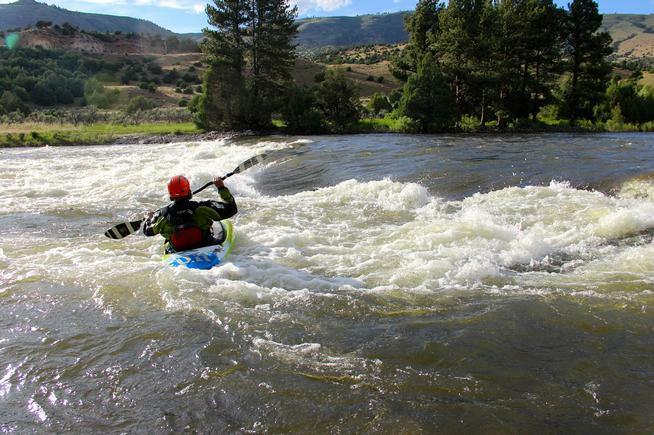 The Gore Canyon Whitewater Park was granted water rights for flows ranging from 860 to 2,500 cfs. A wave feature on river left was designed to be separated from a boat and fish passage channel on the right. The existing fishery provides some of the best fishing in the state. Close coordination with Colorado Parks and Wildlife ensured the protection and improvement of the fish habitat in this stretch. Since construction completion, anglers have enjoyed fishing the installed habitat boulders both up and downstream of the feature. The site is a popular put-in for both commercial and private boaters on a fun Class II-III stretch. The feature was designed to maintain the whitewater character of the river and meet hydraulic conditions for downstream drift boat passage and upstream fish passage. The whitewater park design incorporated habitat friendly elements, such as grout-less boulders, maintaining small alcoves and eddies for fish to use when migrating upstream.